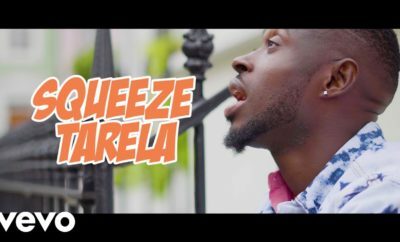 First Time I Listened To Squeeze Tarela Was DECEMBER 2016 When He Released His Single Bend, Rebel Movement act Squeeze Tarela Wowed With The Dancehall Tune, Which Immediately Got Airplay Nationwide In Nigeria. Then He featured on Ms. Jaie’s I Got Love which was an emotive duet. He Didn’t Stop There, He Opened His 2017 Account with Another Monster Single Uber Fresh, which turned out to be a slang used by almost every social media active Nigerian. It Was an infectious contemporary pop cut with reggae influences. On the buzz track, he delivers very relate-able lyrics and salutes many of the industry big dogs. 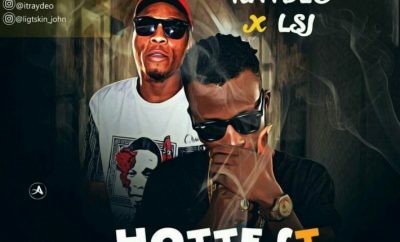 Hottest Thing Is His Second Single Of 2017, and He Dropped It The Right Time! I Mean Its Summer And We Have The Sweetest Dance hall song. The mid-tempo track was produced by JayPaulBeatz and features strings played by guitarist Fiokee. The Infectious Dance hall tune with reggae influences Talks about his Girl, How He Can’t Do Without Her, how he’d lose his mind If she’s Far away. Which Ycee’s Juice featuring Maleek berry Still topping Charts, In My Own Opinion I Think Hottest Thing is Here to Displace it. Squeeze Tarela Has Carved A Niche For Himself with His Signature Genre On Hottest Thing. The Sound Would Breakthrough Continents. 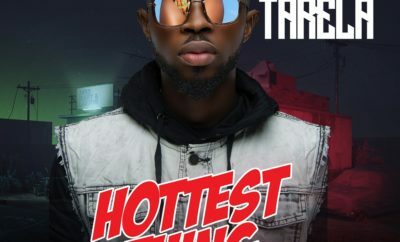 “Hottest Thing” has already been playlisted on The Beat 99.9 FM, Citi FM, BBC 1Xtra Radio, Legacy FM, Beat 103.6 FM London, UDR Radio Radio etc. “Hottest Thing” also made a chart debut last week on the UK Urban Music Club Chart at #24, all ahead of its official release. It is safe to say, Squeeze Tarela has Dropped One Of The Biggest Songs Of Summer ’17. Record Killa dey here so! Next Story → Another Saga: Let’s Talk About Harrysong’s New Single; ‘Arabanko’, ‘KCee’ & ‘Linda’ – The Buhari-Effect!